Address 255 E. Third St.
Holy Communion is celebrated each week on both Saturday & Sunday. There is a Children’s message on most 2nd and 4th Sundays of the month. 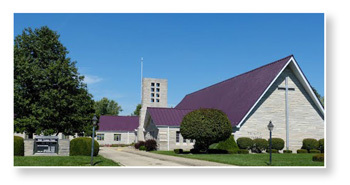 Brief History: Founded April 9, 1909 member Lutheran Church Missouri Synod.